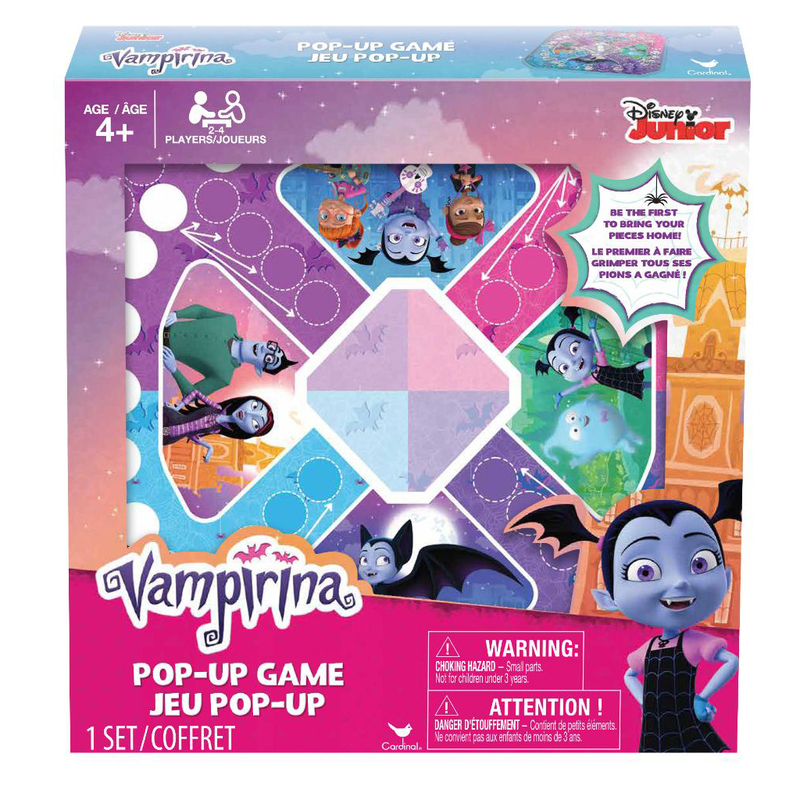 Have some poptastic fun with this Vampirina-themed Pop-Up game. Choose a set of colored pieces and put them in your home base. Roll the dice by popping the popper and then move that number of spots to the left. 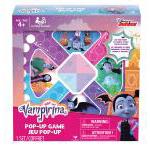 Be the first player to get all of your pieces back to your home base and you will be declared the winner! Simple rules are easy to learn.